Campaigning does pay off — as we can see from the news that major supermarket chain Tesco is now backing the introduction of a mandatory minimum price for alcohol. In the past six months the Faculty has taken a number of steps to raise awareness of the harm that alcohol is causing in Britain, and to make the case for the introduction of a minimum price for alcohol, and the benefits this would bring. And we have made a difference. Scottish CMO Harry Burns thinks we have really helped bring awareness of the issue to the mainstream, and by doing that we have managed to get politicians more interested in this issue. There were barriers: first off there was an initial reaction that by pushing up prices we were trying to punish the poorest; then there was an argument that a law would force small breweries or distilleries to close. But slowly, slowly some of the health facts and messages have started to make a difference, and politicians, the media and the public have started to understand more about why minimum pricing would work. Interestingly the new Coalition programme for government has mentioned a number of policy plans relating to alcohol pricing, so we look forward to seeing how they manifest themselves. It looks like times, and opinions, are a-changing. If you’re going to work in public health in India, a laid-back attitude helps. Can you accept that it’s you who must fit into a very different system, and not India that should follow the NHS? UK training and our island culture instil a moral certainty, and working in India will reveal that to you. Uncomfortably. For years I worked in the NHS, where there’s a structure and a process for EVERYTHING. That structure makes me feel safe – I could always find a PCT website with a downloadable policy for anything. We grumble about the NHS, but forget how reassuring it is to have a familiar set of ‘rules’. In India, when I can’t find the ‘rules’, my automatic reaction is: “Oh god, there’s no system, it’s chaos…” It’s not true, of course. There is a system. A different one. It just takes me a few minutes to remember that, and stop ‘splitting’. If you try to handle your uncertainty by transplanting ideas from the NHS, they may be rejected, because they won’t fit. What India needs is home-grown, sustainable public health. They can write their own guidelines if they need them. Nearly everyone I work with here is better qualified than I am. India doesn’t need ‘experts’ from the UK. The most valuable contributions you might make are the same ones that someone from India might make to a UK public health department – personal qualities, different experience and new approaches to team working. In India, it will take you months to learn how the public health system operates. You will be tempted to see it as slow and bureaucratic. No. It’s just complex (like the NHS is complex) and embedded in a social system very different to that in the UK. I am often struck by how ordered and ‘Germanic’ the UK, and especially the NHS, now seems. India’s much more like Southern Italy in this respect (but sadly without the espresso and the red wine). I suppose the moral of my little diatribe is that working in public health in India requires tolerance. Can you tolerate uncertainty? Can you tolerate feeling vulnerable and inept? Can you tolerate dirt and dust, and spending time alone? If not, Indian public health is not for you. 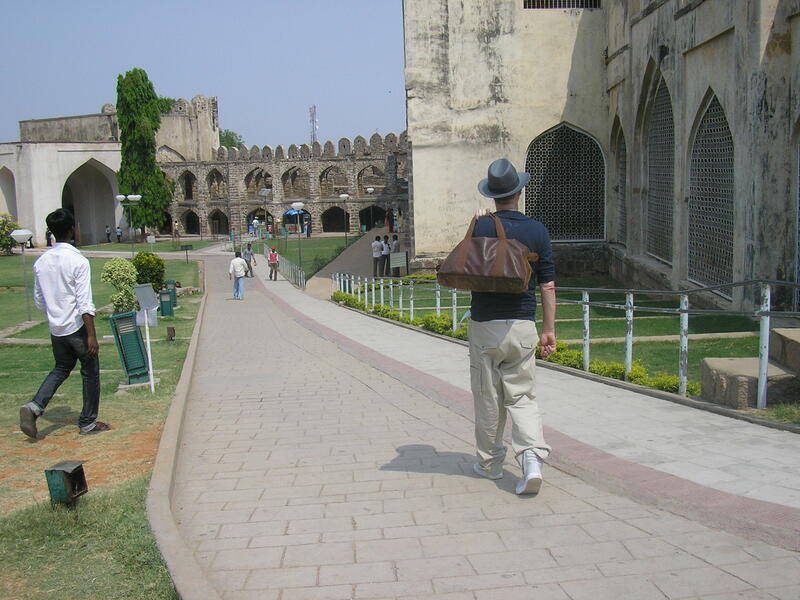 This is the first blog post from an ex-DPH and Public Health Consultant now living and working in India. But here I am and the Faculty thought it might help others who might want to do the same if I blog my experiences. I will document my frustrations and confess when I feel lonely or inept. As I narrowly avoid getting run over, lost, or homesick, I will share it online. As I try to do good quality effective public health work, fail miserably, and sob pitifully into the night, you will be able to snigger thoughtlessly. If I share my delight at working here, along with my frustration at having no cause of death data to rely on, and how hard it is to look cool eating yogurt with my fingers, you might be inspired to pack a case and do some communicable disease work in Bangalore. But hopefully you’ll avoid my mistakes. I’ve already been here a month. There are hassles, but it’s fab. I’d worked for years in UK public health, from junior tea boy right up to DPH with my own posh office and a big team. But I wanted to work in PH in a developing country and I found it incredibly hard to find a way. As a DPH you get used to pulling strings. Ah, the power… But I couldn’t find the right ones to pull to be able to use my PH experience abroad. Figuring that if a DPH found it hard to get experience of international PH, so would others, the Faculty agreed I could tell all right here on this blog. Many of you will have done gap years and volunteered in Rajasthan. Others will have done an obstetrics placement in Delhi or a surgical six months in Chennai. I never did anything like that. My earlier decades were spent changing nappies and trying to combine working in the insane NHS with getting to the playgroup in to pick my son up in time, and being broke. Now my kids have grown up and I am free to fly business class to hot places and fall prey to tropical diseases. So if you are 25 and carefree and well used to volunteering in Venezuela then these blogs won’t be of interest. If, however, you have made a career in public health in the UK, but never lived in a low-income or developing country, and can’t work out if you’d love it or hate it, then keep tuning in and I’ll keep telling it like it is.